It’s long been known that the mind and body are closely connected. For example, if you’re feeling stressed, then getting out for a good walk should help to relax you. It’s even better if you combine a walk with a catch up with a friend or family member. You’ll be getting physical exercise, boosting your emotional well-being and reconnecting with others at the same time. Yet if you live in a big city such as London, it can be hard to find suitable places where you can escape the crowds. That’s why we’re sharing our favorite quiet places in London to rest and relax, to inspire you to go outdoors more. As it’s the largest of the London Royal Parks, you’ll easily find a quiet place within Hyde Park’s 42 hectares. 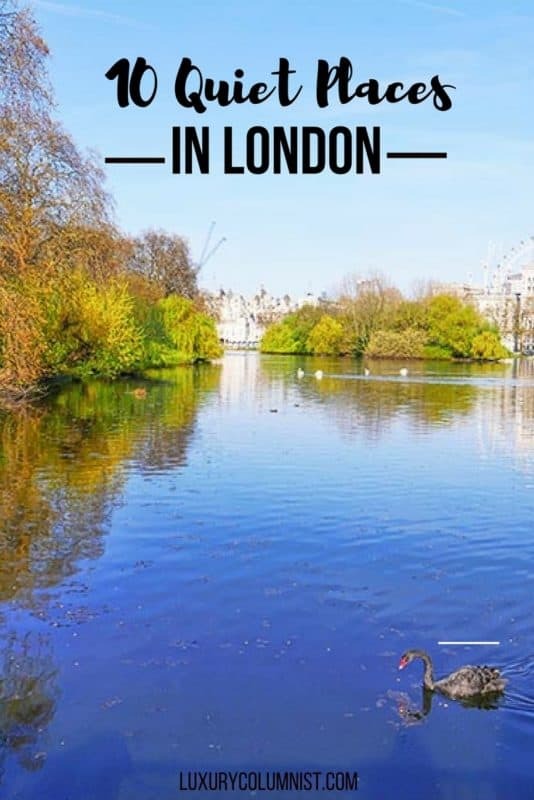 This Grade I listed park has many peaceful areas as well as famous landmarks such as the Princess Diana Memorial Fountain, Speakers Corner and the Serpentine Gallery. The Serenity statue is located on the south side of the Serpentine and is one of many beautiful sculptures in the park. For senior citizens, there’s an outdoor playground situated within the Bowls and Tennis Centre, open from 9 am to 9 pm, April to September and 10 am to 4 pm, October to March. The Rose Garden is one of the most beautiful places in London, especially at the beginning of Summer when the roses are blooming. You can find it at the South East corner of Hyde Park, near Hyde Park Corner. 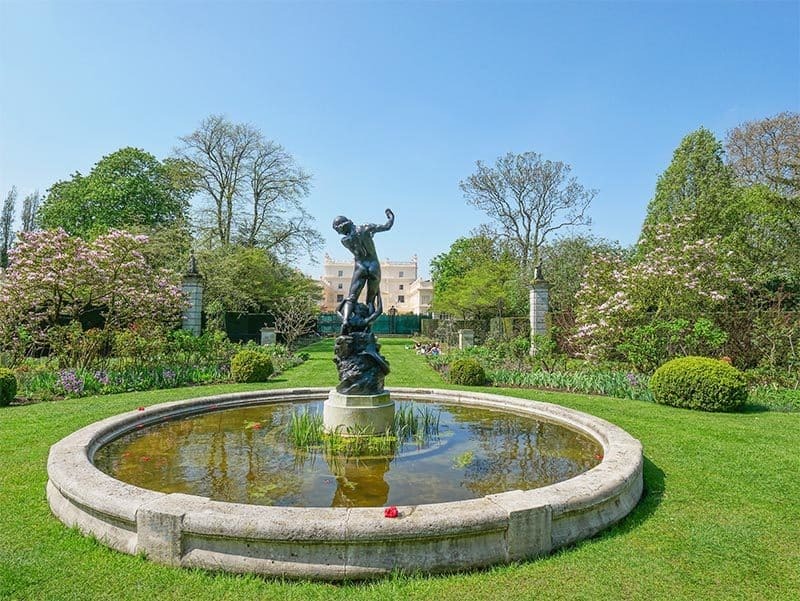 There’s a lovely pergola, as well as two fountains – the Boy and Dolphin and the statue of Diana the Huntress. 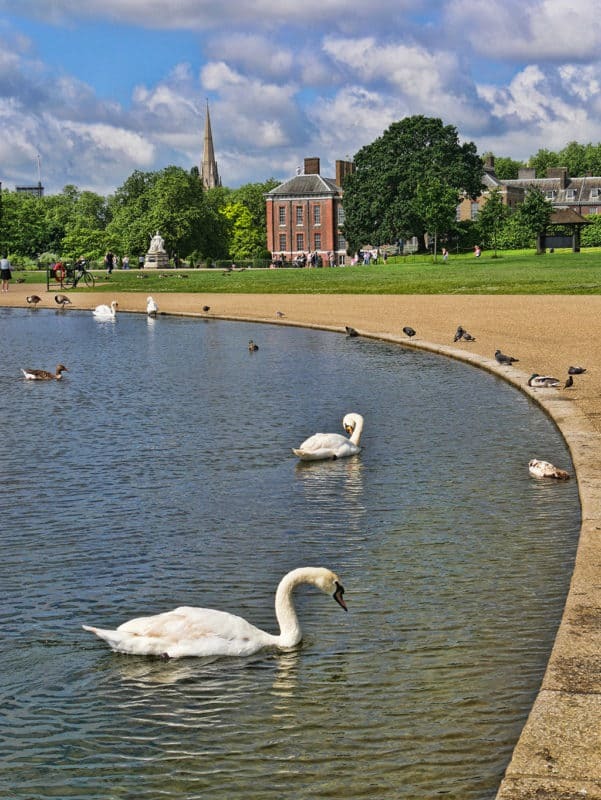 Another tranquil spot is the Round Pond, a seven acre lake near Kensington Palace. Of all the relaxing places in London, St James’s Park is particularly well known thanks to its central location near Buckingham Palace. Spread over 23 hectares, it’s home to many birds including pelicans. The first pelicans were presented as a gift from the Russian Ambassador in 1664 and today there are over 40 of them. Watch them being fed fish next to Duck Island Cottage every day between 2.30 and 3 pm. If you’re lucky, you might also spot some green parakeets in the park. There’s a charming cafe in the park with lovely lake views. There are many great things to do in Kings Cross, with Camley Street Natural Park being a real revelation. You’d never guess you were a few minutes away from a busy railway station. This former coal drop for the railways is now a tranquil inner city oasis where you can spot bats, frogs, kingfishers and many more species. The park is temporarily closed while a new visitor centre is constructed. Nearby you have one of the best canal walks in London. The Regent’s Canal Walk stretches for 9 miles, from Limehouse to Paddington. The towpath was completed in 1820 and the section between Camden Lock and Kings Cross is particularly pleasant. Kings Cross itself has changed a lot in recent years and it’s now a popular dining and shopping destination. For a panoramic view of London, go for a walk up Primrose Hill, which stands 213 feet high. 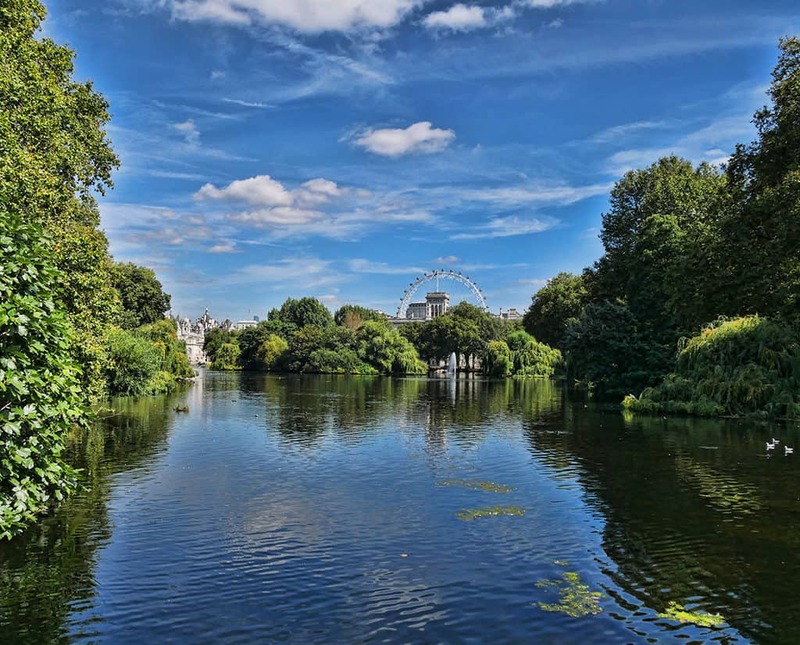 From here, walk down the hill to Regent’s Park and the secret garden…Whilst Regent’s Park is a beautiful place in its own right, few visitors realize that there’s a secret London garden located just off the Inner Circle. It is one of the best hidden gems of London and is guaranteed to surprise your walking companions. St John’s Lodge itself is a private residence, however the gardens are open to the public. The centrepiece is a Grade II listed statue of a boy and a mermaid, Hylas and the Nymph. With a fantastic location overlooking the River Thames, Battersea Park is spread over 83 hectares. It has many quiet spots in which to walk and meditate. The London Peace Pagoda was a gift from the Nipponzan Myohoji Buddhist Order in 1984. A floating lantern ceremony takes place here in August each year, to commemorate the anniversary of the Nagasaki atomic bomb. The pagoda is looked after by Reverend Gyoro Nagase, a Buddhist monk who lives in the park. If you’re in need of refreshments, Pear Tree Cafe is a great place to eat by the lakeside. Being besides water is always relaxing and Greenwich Park is no exception. This place is also brimming with history, being one of only UNESCO World Heritage Sites in London. There’s so much to see in the park, from the National Maritime Museum to the Royal Observatory and the iconic Meridian Line. Admire the longest herbaceous border in London at over 200 metres, situated in front of Queen’s House. If you visit on a Sunday, make sure to see the Queen’s Orchard, open from 1 am to 4 pm and accessed via Creed Place Gate. The Flower Garden is also not be missed, with its deer viewing points and huge cedar trees. London’s oldest public park is also one of its largest, with 86 hectares of land to enjoy. Victoria Park has been popular with Londoner for over 170 years and parts of it are Grade II listed. 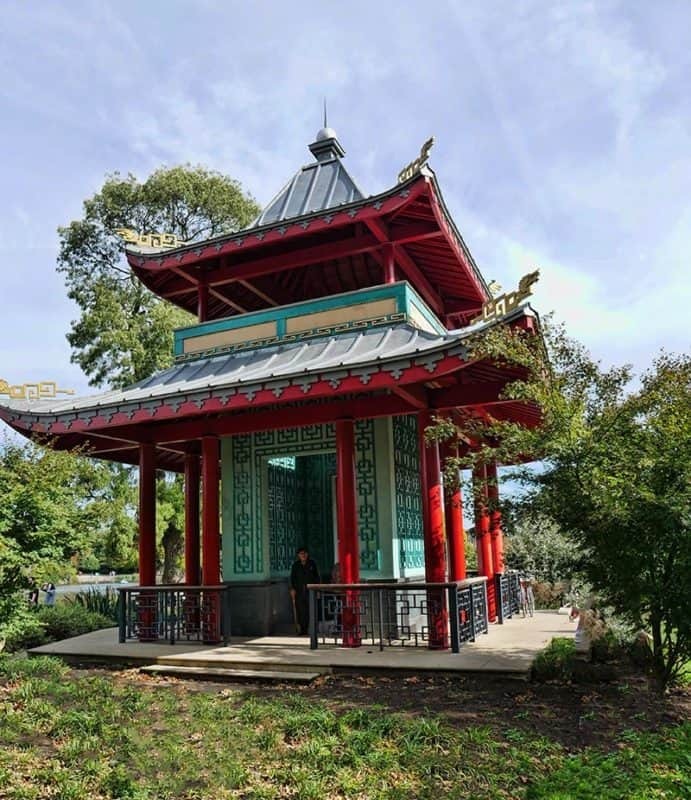 There’s a Chinese pagoda overlooking one of the two lakes and the Pavilion Cafe is a good choice for refreshments. The Victoria Park Memoryscape Trail is a clever initiative enabling park visitors to learn about the park. You can download the whole trail or particular tracks or print off the Memoryscape Trail map. The whole walking route takes about 1 and a half hours. 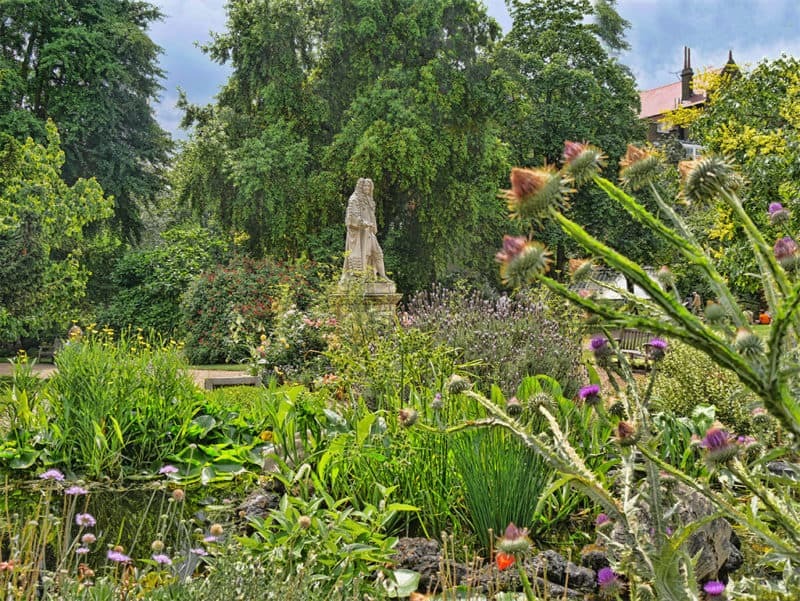 Dating from 1673, the Chelsea Physic Garden is one of the oldest botanical gardens in Britain. It’s also one of the most peaceful places in London. The name refers to the science of healing and it was originally established as the Apothecaries’ Garden. 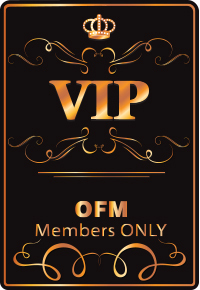 There are over 5,000 varieties of plants with healing and medicinal properties here. The Tangerine Dream Cafe overlooks the main lawn and is a lovely place in which to enjoy lunch or afternoon tea. Chelsea Physic Garden is open from 11 am to 6 pm, with the cafe closing at 5 pm, from 30 March to 2 November and an entrance fee applies. After visiting the garden, take a stroll along Chelsea Embankment to admire the view of Chelsea Bridge. Holland Park is one of the most picturesque of the capital’s parks. Within its 22 hectares, Kyoto Garden is a little slice of zen in London. The garden was donated by Kyoto Chamber of Commerce in 1992. Ever since, it’s been a popular spot for visitors and also for wildlife. You’ll often see herons basking by the pond, eyeing the koi carp! There are actually 2 Japanese gardens in Holland Park, with the other one being the Fukushima Memorial Garden. The park is open every day from 7 am and closes at dusk. Undoubtedly one of the best river walks in London, the Thames Path is a National Trail footpath stretching for 180 miles. It begins at the Thames Flood Barrier in Woolwich and goes all the way to Gloucestershire. 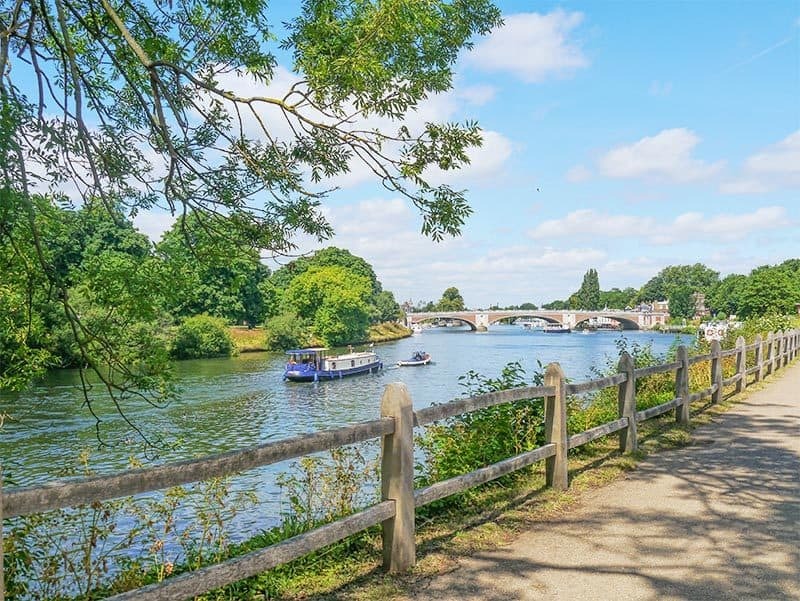 One of the most scenic sections of the Thames Path is from Hampton Court to Staines. You’ll pass the iconic Hampton Court Palace before walking past houseboats and water reservoirs. We hope you’ve enjoyed these suggestions of places to relax in London. We are firm believers in the power of walking to improve your mental and physical well-being.